Employees can and should advocate for their employer online and offline. However, it’s the employer’s job to give them something to brag about. 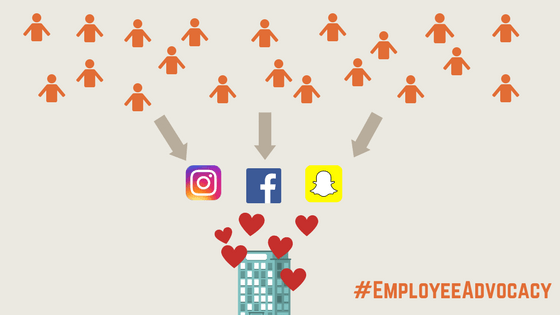 In our #MarketingMonday segment we covered some of the basics of employee advocacy. This post will discuss how to make employee advocacy applicable. We will review software, pillars of employee advocacy, and a few tips for beginners. A company platform must exist for employees to give, gather, and receive information. Today, an online platform would be the most efficient. The platform can be through a third-party service or through a company website. In any case, we recommend a platform that is entirely dedicated to the company and only accessible to employees. Therefore, company information can be shared internally. Similarly, company culture is the most dynamic component of employee advocacy. Simply put, unhappy employees will not have good things to say about their employer. Every company has a different set of employees so the same strategies will not work across the board. Even so, principles like encouragement, acknowledgment support, and honesty will prompt employees to positively promote a company. Employee Advocacy has taken on new life with the advent of social media. People can now express opinions across wide audiences extremely fast. Matter of fact, content will have a “2x higher engagement” rate when shared by an employee (as opposed to the company sharing the information). In addition, we will give ideas to increase employee advocacy outside of social media. Remember the paragraph on company culture? This is where it comes into play: people like to share their happiness. Quick– check your social media feed right now to test our hypothesis. On the employee website, share content that coincides with company updates and employee awards and milestones. Remind employees of these special moments with weekly emails or calendar updates. Next, it is important to create shareable content, so that when an employee decides to share on their Facebook, they can do it quickly and easily. Company swag! Who doesn’t enjoy a free company t-shirt, wristband, mug, or any other memorabilia? This is a less strategic, more subtle way for employees to raise advocacy and brand awareness. Company culture will play a big role in how the merchandise will be received. Otherwise, the company swag will be forgotten in a drawer or put in the trash. At Hashtagitude, we place company stickers on our laptops and water bottles. That is one way we promote our company when we’re not at the office. 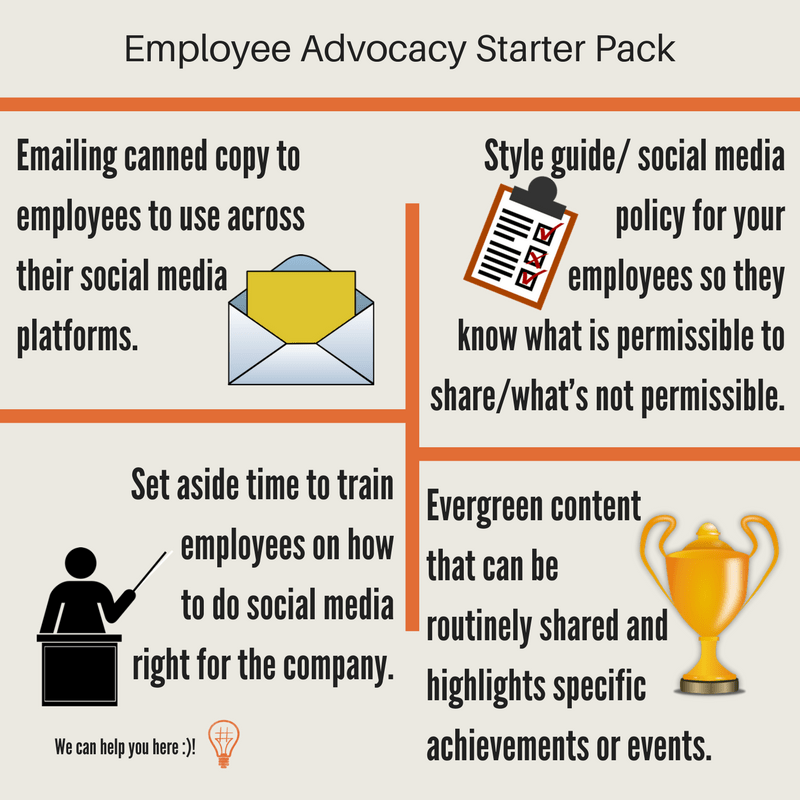 Employee advocacy is a brilliant way to promote from the inside out. For example, let’s say that Barbara will reach her sales milestone at Company X in a week. The company has announced this approaching milestone through the company website and its Facebook page. Barbara and her sales team have also been receiving weekly emails about it. After Barbara accomplishes her goal, the company will announce it publicly and internally. Barbara will also receive a congratulatory email with a link to the company’s statement and addition links to share on different social media channels. For an added touch, she gets a prize: a t-shirt with the company’s logo.